Losing weight can be a difficult endeavor, regardless of how many pounds you're looking to shed. But if your current weight is putting your health at risk, you need a team of supportive professionals to help you slim down in a safe, supervised fashion. As an established medical weight loss center in North Augusta, SC, Beach Medical Weight Loss is equipped to help you lose weight in a steady, healthy fashion. At Beach Medical Weight Loss, we have brought together a multidisciplinary team of physicians who have specialized training and expertise in helping people lose weight, and more importantly, keep it off. 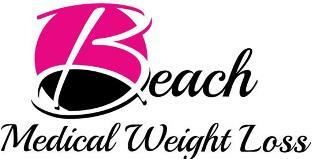 Beach Medical Weight Loss also offers a number of packages you can choose from to help you loose weight and save you money. Call for more information and to schedule an appointment 803-574-3638.